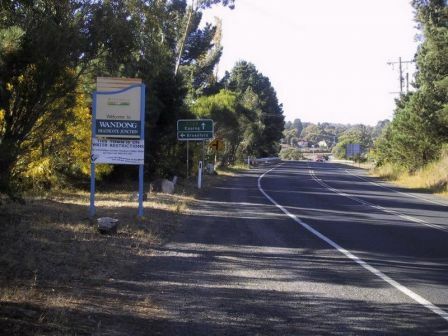 Wandong-Heathcote Junction is a small township with a population of about 1,800. 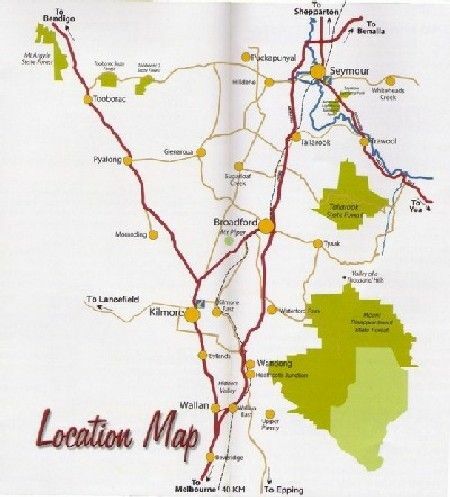 It is located on the Hume Freeway less than one hour from Melbourne, situated on the Great Dividing Range and adjacent to the Mount Disappointment State Forest. Formally the township was part of one of Victoria's oldest inland shires, the Shire of Kilmore. The township is now located in the Shire of Mitchell. Wandong - Heathcote Junction (combined towns) has about 1,800 residents. It offers a village type environment, strong rural characteristics, historical values and undulating landscapes. Many residents relocated to this area, forgoing many of the urban facilities, in order to enjoy the attractive rural lifestyle. In fact 63% of residents commute by train or private car to Melbourne and the surrounding suburbs for employment. Wandong - Heathcote Junction enjoys a temperate climate with a cool winter. Average minimum temperatures in the winter months of June through to August are 6-7 degrees celsius. The summer season is from December through to February when average temperatures are about 25 degrees celsius. Average rainfall is approximately 700 - 800 mm.